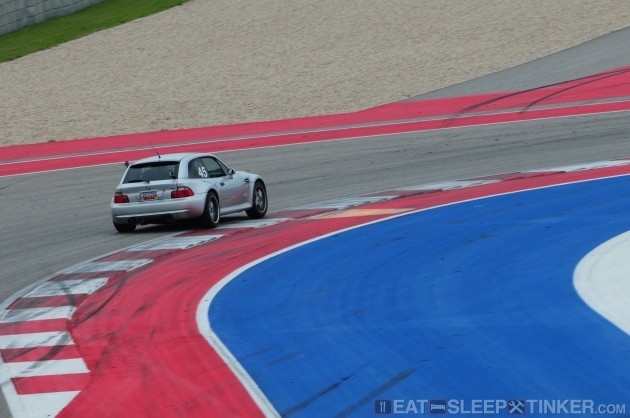 I finally made it onto the Circuit of the Americas, after several events of just spectating (ALMS/WEC,Grand-Am, Trifecta ’13). The track still has that new smell, and its popularity garners some pretty high prices and long waiting lists to get in. 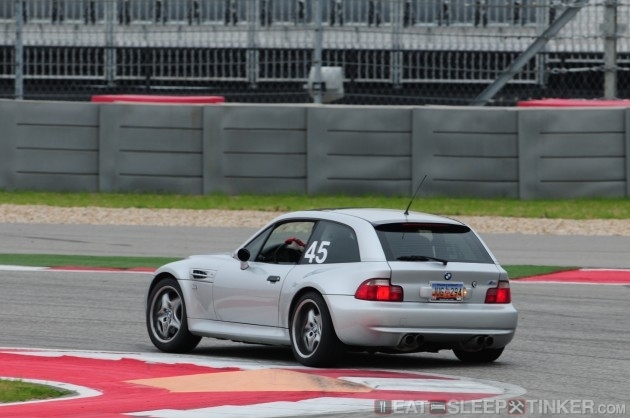 Fortunately the three Texas chapters of the BMW CCAcame together again for their second “Texas Trifecta” driving event, and they kept the costs to somewhat less stratospheric level than other organizations. In order to stand a chance of getting in, I had to ensure I was a “tier 1″ applicant, which meant participating in a Texas chapter event in the preceding year. Good thing I attended the Fall DE atMSR-Cresson with the Lone Star Chapter. You also had to be a solo qualified driver, which narrowed the pool down further, but the event was still sure to sell out fast. I registered as soon as I could, knowing this would probably be my last opportunity to drive the track. 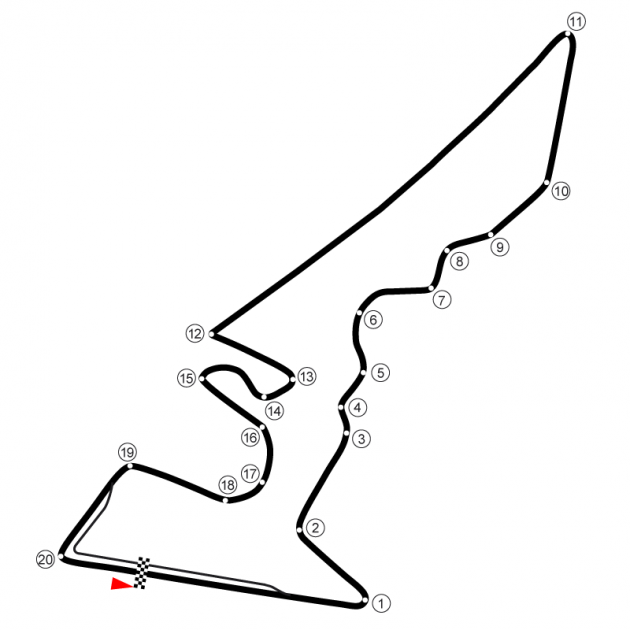 Much of the hype surrounding COTA is just that, pure hype. I haven’t been to any other purpose-built F1 tracks, but from what I’ve seen on TV and in photos, COTA isn’t anything remarkable. That’s purely from a landscape and amenities perspective, not the track design. I’ve attended two pro-race weekends there, and I wasn’t exactly blown away. I left feeling like it was lacking a bit, but as I mentioned, it was still very new at the time. Over the past year they’ve made some improvements, like adding camping accommodations on the back straight area, near turn 11. But this post isn’t really about the facilities, it’s about driving the actual track. That too has been hyped up for quite some time, as you’d expect given how new the place is and that it’s brought F1 back to the States. I tried to keep my expectations in check, and treated it as if I were going to any other track. The Texas Trifecta was spread over three days, Friday through Sunday. I, taking the cost into consideration, only signed up for Saturday and Sunday. Due to scheduling of both HPDE and races, there would only be three thirty minute sessions per day, down from the standard four. Sacrifices must be made right? The run groups were also fairly large, though they tapered off on Sunday, and the track is pretty big at 3.41 miles. For the first three sessions I was paired with an instructor to help learn the track. As you might expect, it’s not the easiest to learn with 20 turns. The pit-out puts you right out at the end of the front straight, leading up the hill to T1. T1, like T11, T12, and T20 is a very low speed, tight radius turn. It calls for down shifting to second gear. With my stock staggered street tires, I will understeer pretty badly without really coming in slowly. Pitting out presents a bit of a problem if you have traffic coming down the straight at speed, as the blend line carries you all the way to nearly the turn, which puts you far too inside of where you need to be. T1 through T2 is a flowing downhill bend, accelerating the entire way to the bridge just before the essess. Not much braking (none if you are braver than me, maybe a slight lift) into T3, slight brake before T4. It’s essentially a tightening set of essess. The great thing about this track is that the pavement is ultra smooth and incredibly grippy. There is also very generous run off room, most of it paved. You have to look out for the larger orange pyramid-like concrete bumps that are placed at the apexes, which serve to keep racers from cutting the course by too much. These stick up enough to do some serious damage to a car’s under-belly and suspension. I tried to cut the curbing as close as I dare without hitting those orange bumps. T6-8 provides for a little bit of playing around with the line, I tried a few different approaches. T7 is tighter than the previous section, and I was continuously flirty with the astro-turf on track out. T8 is almost like a mini carousal, I don’t think I could double apex it, maybe lengthen out the braking then bend it around for a late apex and shot into T9. Coming out ofT8, I practically just straighten the wheel and clip over the cubing. There’s really no need to bring it back to the right and then turn in, as you are practically hugging the inside of T8. Between T9 and T10 is a strip of grey concrete on the right side of the track, providing a good cue for turn-in to T10. This was great, because if you could see the apex of T10, you were already too late. The terrain is falling away at this point, so you really just turn in at that grey strip and you clip the smooth painted apex at T10. The track straightens up just a bit, then it’s hard on the brakes for T11. T11 is a tight left hand hair pin, leading onto the back straight. It’s a bit frustrating, as you really want to carry speed onto a straight. Here it’s practically a drag race from ~35mph coming out of T11. Cars begin to stack up there, and then some of the first passing finally takes place. The straight betweenT11 and T12 isn’t entirely straight either, slightly bowing the right. Having started at such a slow speed, you really don’t hit anything astronomical, even for such a long straight. My logs showed I topped out at 138mph before braking for T12, that’s really no faster than the speeds I’ve hit at TWS, even going CCW. After the boredom of the back straight you have another heavy braking zone, the hardest given your speed. T12 is another very slow corner. You’re going from fifth down to second, similar to the T1. You’ve got a short straight leading to T13, which I followed to the very outside edge before turning in. I had a very difficult time trying to figure out T13, getting it to where I wouldn’t just plow horribly. You can almost carry a constant arc through it and 14, but I still never felt like I had it down. Turn 15was strange in that it’s really wide leading into the corner, which made it difficult to choose where exactly to place the car. In traffic I saw other cars taking multiple lines in. I tended to brake to the outside edge, then sharp turn towards the apex. It’s not as wide coming out as going in, so you have to be mindful. Fortunately you can easily see this on approach, as you are essentially doubling back. Turn 16-18 is essentially a carousal, where you try to maintain a set steering input, then just use the throttle to carry it around the track-out. When you do it correctly, the car follows the same arc and the apex of T17 and T18 just come over to you. This is a pretty high speed corner, lots of fun. I had difficulty really laying on the power, as it would just lighten the front end and I would begin understeering away from the corner. You really have to use maintenance throttle to get it just right. I never was quite brave/fast/or have enough grip to push it all the way out the the track out rumble strips. That’s probably not such a bad thing (other than giving up time), as you have to move back to the right side of the track for T19. I found (and apparently several others as well) T19 to be deceiving. At first it looks like any other slow corner, but in fact, you really can carry quite a bit of speed through it. The orange pylon at the apex is very low and runs in the same direction as the track, so you can actually clip the corner safely. I spun twice in this corner, my own fault from making abrupt throttle adjustments while turning. I mentioned it was deceiving, I found myself either going too slow or (on the occasions I spun) too fast. My parking spot in the paddock was right next to T19, so I witnessed quite a few other cars struggling here as well. Fortunately there is a lot of paved run off and if you do have an off, pit-in is right there, saving you the embarrassment of getting black flagged. Finally the last turn, T20. Like turns 1, 11, and 12, this is a very slow corner. Back down to second gear and on to the front straight. I found this corner to be the most power-oversteer prone on the track, perhaps because it leads on to the front straight and I’m just trying to wring as much speed out as possible. It also is a bit more narrow than you might expect, I was consistently running the outside edge on the astro turf, wishing I had more pavement. The front straight runs right through the grand stands, starting very flat then quickly rising to turn 1. You really must use the last bit of that uphill for braking, as the car unloads a bit at the top and you’ll quickly blow past turn in. That’s it, rinse and repeat. 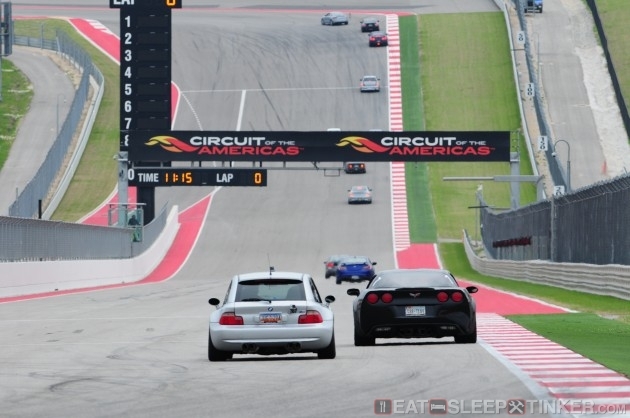 I found COTA extremely hard on brakes compared to all the other tracks I’ve run. The numerous slow speed corners following straights require very heavy braking, and it showed with pad fade by the fourth lap or so. Of course my car doesn’t have true brake ducts, is full weight, and is using all stock brake parts aside from pads and fluid. If I were to continue to run it in the M Coupe, I’d want to add ducting and perhaps change to PFC 01 pads if necessary. The PFC 08′s worked extremely well up until about lap 5 where they faded slightly. Nothing reaching dangerous levels, I just had to compensate by braking sooner (which of course doesn’t help the heat issue.) I had also addedBimmerworld titanium backing plates, which I will highly recommend. After the weekend I removed the PFC 08′s and plates, which were completely scorched blue and purple from the heat. As designed, the plates had prevented the heat from transferring to the caliper, its dust boots looking fresh and untouched. Likewise, the brake fluid never showed a hint of fading, I’ll give an endorsement to the Brembo LCF as well. So what are my thoughts of the track now that I’ve finally run it? It is definitely a great facility, a nice change of pace from running old and bumpy places like TWS. The pavement is glass smooth, grippy, and easy to drive. If I were to break the track down into sectors, I could say there are some I really disliked and others I really enjoyed. You can probably guess that I wasn’t much of a fan of the very slow corners following and starting straights. Sure they require a fair amount of skill as you try to judge your braking zone, there’s definitely time to be made up there, but I prefer a track that has a bit more flow. The layout makes it difficult to setup and execute passes on nearly everything but the straights, and those are painful too as everyone is starting from the same slow corner. Places likeMSR-Cresson allow for anticipating and setting yourself up for a pass through several different corners, not so much with COTA. Since there is a wide spread of cars and drivers at HPDEs, it can make passing even more challenging on tracks with several long straights or high speed sections. Corvettes and Ferraris will just walk away from me, but then I’ll pull a Miata and be back on them. Of course the right thing to do is to let the car pass when they catch up with you, but then you wind up sandbagging as to not pass on the next straight. Another issue I hadn’t even anticipated was the difficulty in seeing the flag stations. Most amateur race tracks aren’t surrounded by high catch fences to protect spectators, so you can easily see every corner worker from a good distance off. COTA‘s corner stations are behind these fences, which have small openings for the workers to wave the flags. What this means is that you really don’t see the stations unless a flag is sticking out, unlike most other tracks where you can actually see the workers’ mannerisms and anticipate what may be happening. It’s not a huge issue, just something to get used to. Despite these issues, as a whole COTA is a very enjoyable track. It’s challenging to learn given the size, but not so much as to be daunting or scary. There aren’t any “oh-sh!t” type corners, where things get out of whack even when doing it correctly. Smooth on-camber corners with generous run-off and open sight lines definitely add to the enjoyment. I’d love to run the track again, but not at the prices most organizers are asking. I’d recommend it as a track you should at least drive once if the opportunity presents itself, but to me it’s not worth the $900-1300 that most are asking. Hopefully the prices will come down and availability go up as the “newness” wears off and more organizers get involved. As always, I brought along a couple GoPro cameras to record my laps. I used my Android phone again to pull data from a Bluetooth GPS taped to the dash, then used the output as an overlay. Unfortunately I didn’t get all the sessions due to my GoPro Hero3 Black Edition failing on me, but was able to get some interesting footage with the two remaining cameras (White and Silver 3+) The video below uses the standard mounting position behind my left shoulder so that you get a view of what the steering wheel is doing.